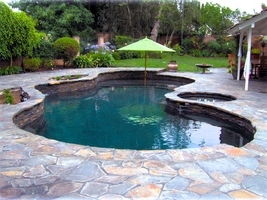 Legacy Pool & Landscaping | Home | If You Can Dream It, We Can Build It! LEGACY POOL and LANDSCAPE is the industry leader in quality workmanship in all aspects of outdoor construction including pools, spas and water features, built-ins, outdoor entertainment and patio covers, to landscape design, sprinklers, drainage, and outdoor remodeling. Formerly known as Unique Construction, we expanded our services to better serve our customers. 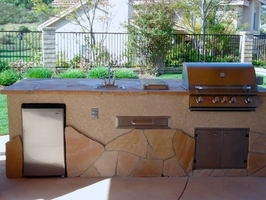 Native to the Southern California area, we are a family business with over 20 years experience, and we provide the personal touch, expertise and local knowledge to get the job done right the first time! 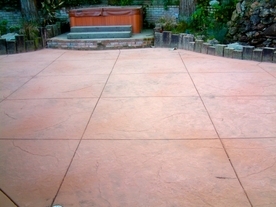 Let us help you transform your outdoor space! If you can DREAM IT, we can BUILD IT! 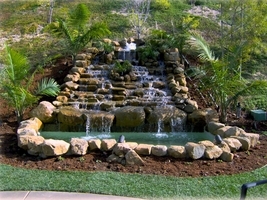 Specializing in pools, spas, outdoor living, custom bbqs, lion bbqs, landscaping, hardscaping, brick, stonework, concrete creations, concrete coloring, concrete design, flagstone, pavers, low voltage light, sod, trees, grass, sprinklers, backyard design, front yard design, landscape, hardscape, swimming pools, jacuzzi, waterfalls, rock creation, system repair, outdoor kitchens, patios, gazebos, fences, decks, trellises, gardens, block walls and masonry. 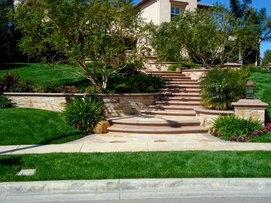 We proudly serve Ventura, Oxnard, Ojai, Camarillo, Thousand Oaks, Westlake Village, Simi Valley, Santa Clarita, Santa Barbara, Goleta, Montecito, Summerland, Carpinteria, Hope Ranch, Santa Ynez, Buellton, Santa Maria, Agoura Hills, Calabasas, Malibu, Ventura County, Santa Barbara County, Los Angeles County and all of Southern California.